Since I had some free admission passes and free time, I decided to head back to downtown Savannah to enjoy another gorgeous, sunny day! First off, I took a detour to Bonaventure Cemetery, which was featured in The Book and The Movie that helped make Savannah even more of a destination: Midnight in the Garden of Good & Evil. I read it before I moved here, and it definitely led to me visiting Mercer Williams House and seeing the famous drag queen, Lady Chablis! Bonaventure is gorgeous. I couldn't imagine a more beautiful place to be laid to rest. The willow trees were definitely striking, and the headstones were eerily beautiful. 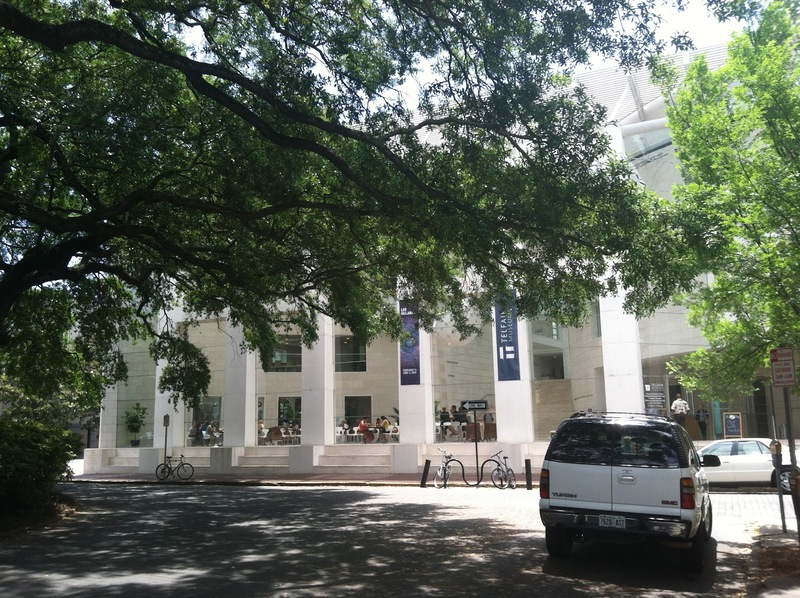 I headed downtown directly after my walk through the cemetery, to visit the Telfair Academy and Jepson Center. I'd been to the Jepson Center before for a wedding, but both of these were great stops. 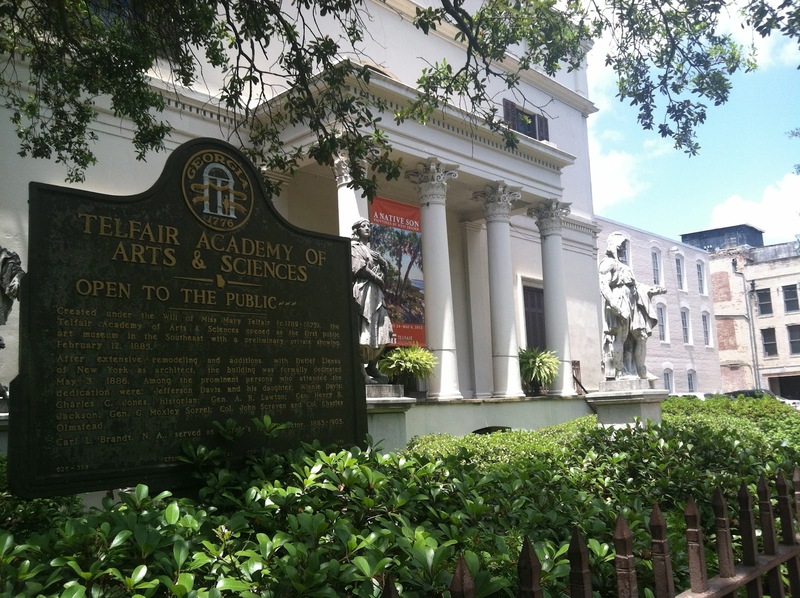 I especially loved that the Telfair used to be a home, and that you could see the bones of what that great house used to look like. The modern architecture of the Jepson is stunning as well. All in all, I had a great day downtown, checking off a few more things on my Savannah bucket list before my move to Tennessee!